The Gibsons & District Public Library is fortunate to have a Foundation that provides additional funding for special library projects addressing the literacy and learning needs of residents. 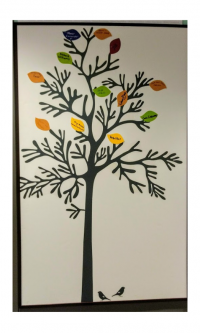 The Foundation's Giving Tree Fundraising Campaign is aiming to raise $6500 by May 31st to purchase a new state-of–the-art multimedia presentation system for the Gibsons Library. It will not only support ongoing digital literacy programs, it will also enhance the library’s ability to provide the best possible presentations, readings and audience participation experiences for patrons of all ages. If you'd like to help support this goal, donations are gratefully accepted at the library, or online at CanadaHelps.org.To find out more, ask a library staff member or email the Foundation.For more information on any library program or service, drop by the library, visit our website or call us at 604-886-2130. Please join us for a seed-saving workshop with a special focus on getting started in the spring. Instructor: Leonie Croy, of the Sunshine Coast Seed Saving Collective. Drop by the library with your gardening questions and chat with Master Gardener Ayuko Inoue. In anticipation of International Women's Day, the Gibsons Public Library hosts "Outrageous Women," a literary salon featuring local writers. TELUS WISE Seniors is an Internet safety program meant for seniors who are already using the Internet (eg. email, surfing the Internet). Through this interactive, conversational program, our goal is to help you keep yourself, your family and your community safer online. Sign up for this interactive workshop and learn how to stay safe online. A former journalist and documentary filmmaker, Mary Burns is the author of four novels, two short-story collections, a book about snow geese, and several radio and stage plays. The Historical Novels Review selected The Reason for Time as the editor's choice. It was a finalist for Foreward Reviews Historical Fiction Award and listed as a "Must-Read Chicago book." Mary taught in SFU’s Writing and Publishing program and served as Chair of Creative Writing at Douglas College. Everyone Welcome! There will be coffee and muffins. The GDPL Book Club discusses Tyrant: Shakespeare on Politics, by Stephen Greenblatt. • Ten Key Factors for the highest sense of well-being. • How to gain a deeper appreciation for who you really are and why you are here. • Authoring a vision of your ideal future that contains your noble aim. Give yourself the gift of The Conversation. We can only be sure of two things: death and taxes. The taxes are done for the year, but what about your Advance Care Plan—planning for the end of your days, that conversation you always meant to have with the ones who matter most to you, the things you wanted to write down so family knows what is important to you. It’s never too early to start thinking about the date we all have in the future, but it can become too late in an instant. Give yourself the gift of having The Conversation. Presented by Sunshine Coast Hospice Society and BC Palliative Care. Come share your ideas for this year’s Sunday in the Park with Pride and The Little Pride Parade, which takes place on Sunday, June 23rd. It’s the biggest LGBTQ2 Youth event on the Sunshine Coast. Make it your own! Denise Brown will be joining us again with watercolour painting know-how and supplies for those who wish to contribute to Project Brick. For ages 12-24. Come take your turn at the mic! Storytimes are taking a break for the month of March. The next 8-week long spring session will start in the first week of April. Learn to play this very popular game, or learn to play it better with Justin French. Intended for grades 6 - 9. Also, experienced youth players are welcome to play in the library's Magic Tournament on Tuesday March 19, from 3:30 to 5:30 pm. Prizes and promos available. There are two sessions left for the First LEGO League Robotics Team. Curious to see what the team has been up to, or interested in joining next year's team? Come watch the Team compete at Sunnycrest Mall on Saturday March 9th at 1 pm and again at 2 pm. This month we'll be discussing Posted by John David Anderson. Bring an open mind and a willingness to respectfully defend your opinion. 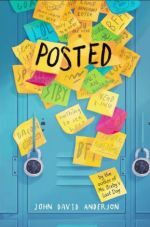 For readers in grades 6, 7 & 8. Copies of next book will be available at the front desk soon. Note: It is possible the book club may be delayed until the 19th - please call the library to confirm. All experienced youth players welcome. Prizes and promos available to win. Learn to code spheros while completing fun and increasingly difficult challenges. No previous experience necessary. Space is limited so register early. Practice looking at the world in new and strange ways, while generating lots of writing. Guest facilitator Dara Greaves (writer/editor and youth advocate) will lead participants through a series of playful and perspective-altering writing activities based on unconventional art forms. Previous writing experience is not necessary, but creative and open minds are encouraged! Showing The Nutcracker and the Four Realms, rated G. Recommended for 8 year olds & up. Doors open at 6:00 pm. Film starts at 6:15 pm. Drives home should be arranged for 8:00 pm. Parents welcome to attend also. Lego is back by popular demand for just one day. So come play, create and discover with our giant collection. 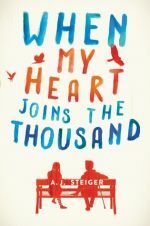 A love story between two of the most endearing and original teenage characters I've read about, with a good dose of pain and awkwardness along the way. 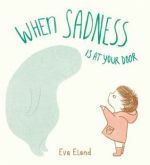 A refreshingly frank and beautifully illustrated story about what it feels like to be sad sometimes, and how to make friends with that sadness.